On May 6, 1998 history was made at one of baseballs most historic ballparks Wrigley Field. The game was between the visiting Houston Astros and the beloved home town heroes the Chicago Cubs. 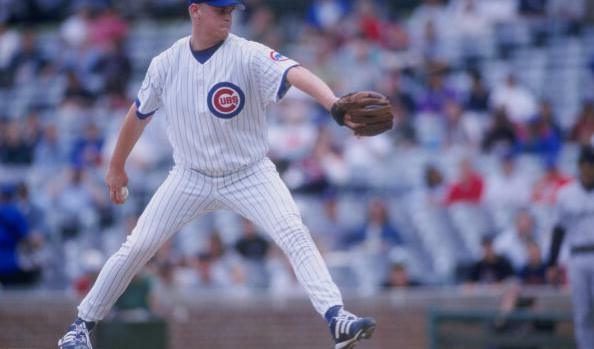 Pitching for the Cubs that days was a young right handed pitch named Kerry Wood. Wood had made his Major League debut just one month earlier and was about to shock the baseball world. In front of the crowd of 15,758 fans Kerry Wood was set to face an Atros team with former All Stars and a couple of potential Hall Of Fame Players. Players like Jeff Bagwell and Craig Biggio headlined the line up for the Astros that day. Wood struck out every player in the Astros line up at least once during the game. During his nine inning pitching clinic he gave up only one hit and his Cubs committed no errors. When the smoke cleared Wood had thrown a record tying 20 strike outs. The crowd was electrified from the excitement of this rare accomplishment. 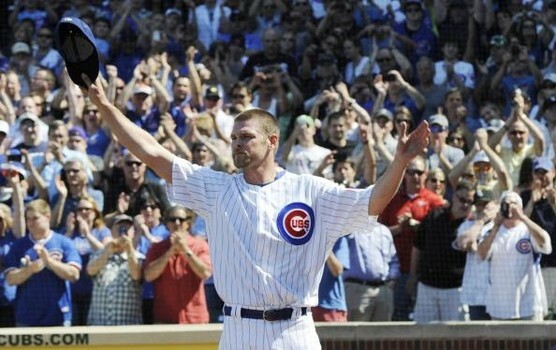 Kerry Wood went on to have a respectable career with Cubs, Indians and the Yankees. He had two stints with the Chicago Cubs and in the last half of his career was a closer. He played his final game on May 18, 2012 with the Cubs, 14 years after making history. He became the 1998 National League Rookie Of The Year and a two time All-Star (2003, 2008). Wood retired with a career record of 86-75 , 3.67 and 1,582 strike outs. The only other player to have struck out 20 batters in a single game was Roger Clemens, he did so in 1986 and 1996. Only Eight players have pitched 18 or more strike outs in a game. This record has not been matched or broken since Kerry Wood joined Roger Clemens on the top of this list. The State of Florida has been the home of Spring Training since the early part of the 1900s. Up until 1993 Florida never had a professional baseball team to call their own. The Florida Marlins who were based in the Miami area were the first. The Tampa Bay Devil Rays were soon to follow in 1998. But Florida has a deep history of pursuing Major League Baseball before they received their teams in the 1990s. It started in 1983 in the Tampa Bay area when local city officials considered building a baseball stadium to house a pro team. 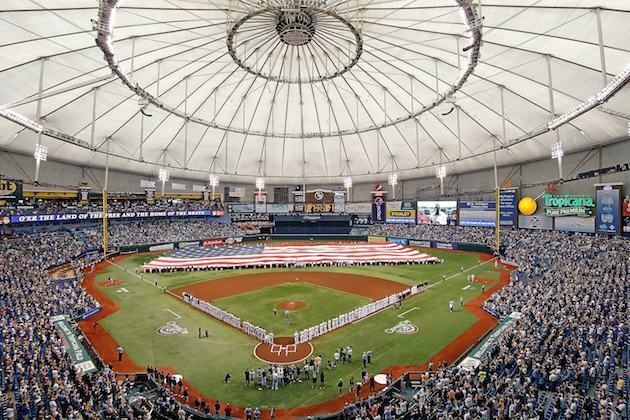 Construction began in 1986 on what is now known as Tropicana Field in St. Petersburg. It was completed in 1990. At the time there were no expansion franchises being granted for any city. So they sought a team the best way they could, trying to lure a team from their current city. The Chicago White Sox were the first team that Tampa pursued. In 1989 The White Sox were not happy in the old Comiskey Park and wanted a new stadium. They flirted with Tampa for a while before ultimately getting their new stadium and staying in Chicago. The next team that was rumored was the Seattle Mariners. The talks did not go very far and the Mariners remained in Washington. Tampa had their hearts broken in 1991 when they were denied an expansion franchise. The Miami area won out instead of Tampa and the Florida Marlins came into existence. The Marlins played the first ever regular season game in Florida in April of 1993. The closest that Tampa ever came to stealing a team away from a city was in 1993. The San Francisco Giants owners were looking to sell and a group of investors from Tampa were looking to buy them. The deal was almost done. The local baseball fans were already celebrating and then the bad news came. The sale was vetoed by the National League Owners. The Giants remained in San Francisco and Tampa was still without a team. That was until in 1995 when they were granted an expansion franchise. The Tampa Bay Devil Rays played their first regular season game in 1998. The past does make one wonder how different things would be if the White Sox, Mariners or Giants would have relocated to Tampa. If the White Sox or Mariners would have moved would there have been a team in Miami in 1993? Probably not, there more than likely would have been years later though. The Giants move would have been interesting. The city of San Francisco would probably have a different team right now. There is no way that City would be without a team for too long, not with their tradition and history. It’s really incredible how things turned out for Tampa. They took a huge risk by building a stadium without having a team for it. For many years they looked like failures. Many in the city thought they would never have a team to call their own. But Tampa proved to be very persistent and got what they wanted in the end. One of the biggest sports stories of the year and possibly the last decade happened today. The Bowl Championship Series (BCS) Presidential Oversight Commitee signed the documents that will remove the BCS System and put a 4 team tournament in its place. It was the most hotly debated and demanded topic in the history of college football. Even the President of the United States weighed in with his opinion on the subject. The BCS is soon to be gone, good riddance. The BCS lasted for 14 years and was created to settle the controversy created by the bowl system that was formerly in place. The previous system would have team play their final games of the season in bowl games that a lot of the times did not help their case for being #1 and National Champions. 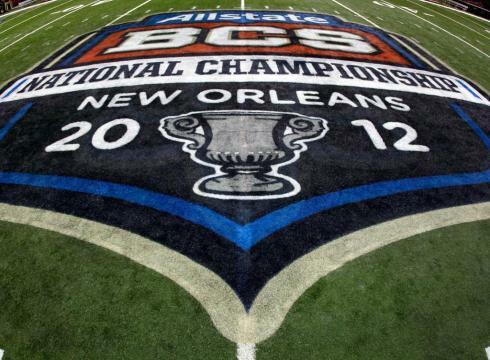 The BCS was supposed to bring order by having the top 2 ranked teams battle it out to crown a National Champion. It however created a lot of controversy instead. There have been many teams over the years that have gone undefeated and still were out of the championship game. There was also a lot of corruption with the BCS Executives taking advantage of the system and wrongly using money to fund parties and put in their wallets. So the BCS can die a horrible death and rot as far as most football fans are concerned. Up until now football was the only NCAA sport that did not have a tournament to crown it champion. In fact the NCAA has not endorsed one single BCS champion as being their champion. The 4 team tournament system will start in 2014. That means that we will have two more BCS years but essentially the BCS is dead after that. The fans of college football all breathed a sigh of relief today knowing that the end of a horrible system is soon to be gone. The new tournament will be a breath of fresh air for college football. I do however feel that the tournament should expand to at least 8 teams but hey you have to crawl before you walk. At least they are giving it a go. The tournament will mean more excitement and drama not only during the final games but during the season when teams will be fighting to get in. Sure, there will still be some controversy about some teams not getting in but at least you will have a semifinal and a final to let the teams battle it out. The way college football is set up with so many teams and many great ones will mean that only the best teams will play for the National Championship. For decades the college football scene has needed a tournament and the fans have been demanding it. For a very long time it appeared that we would never see a tournament in college football. Now everyone can sleep easy knowing that the light is at the end of the tunnel. With Peyton Manning being officially released by the Colts today and the possibility they might go after him I thought I would address the subject of the Dolphins QB spot. Let’s start with Matt Moore, replace him! While he did okay for the most part he is no long term QB for the Dolphins. I as a fan am tired of the revolving QB door since Dan Marino retired after the 2000 season. We have had the likes of Chad Pennington, Cleo Lemon and John Beck to name a few. I am sick of it! Find a new long term QB now Miami! Let me touch on the Manning possibility now. No one can deny how great of a QB Manning is but with his age, and injury issues I don’t see him as a long term fix. I feel the dolphins need and have needed a long term fixture at the QB position in order to be consistently successful again. That brings me to Robert Griffin III or RG3, which could be a possibility if the dolphins traded up from their 8th pick over all to the 2nd pick held by the Rams who have shown interest in trading it for the “right deal”. I think the dolphins should trade for the pick and bank the filigree on that kid. He is the complete football player like we have never seen before. He looks like he could be even greater than Cam Newton was this past season. But there is a problem with the RG3 scenario that I have laid out. 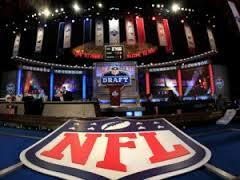 In order to get that pick from the Rams, the dolphins would have to do something they have never been comfortable doing before and that is to trade a few first round pick possibly 3 to make a deal come to life. I think they need to take a chance and pull the trigger o. This one. If there ever was a time to make a trade to move up in the draft it would be now. We will have to see what happens in the next month with the Manning situation to get an indication as to which way the dolphins might go. I feel that the only real option us to get RG3. 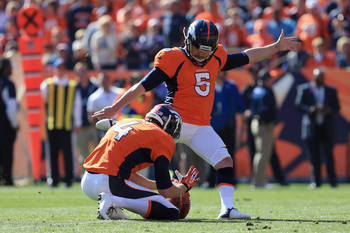 Not any other free agent not even Manning. The dolphins have been dragging their feet for too long and the fan wants to see it end immediately!